One of the results of the cookie-decorating party we went to the other night. 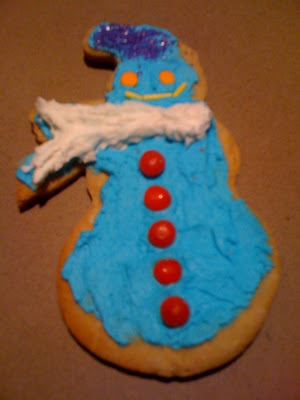 This is my stylin' snowman with his pimpin' hat. Alas, he is no more; the victim of a horrible yet delicious mastication incident. "It's a cake... from a PAN."